There’s no doubt about it, March has been all about celebrating women, what with International Women’s Day (8th March), Mother’s Day coming up (31st March) and International Mum and Small Business day in the pipeline (29th March). You might not be so familiar with the latter, but we are most definitely celebrating it at Air Social. Remember to switch off and spend time with your children. It is easy to get completely overwhelmed and consumed in your business, but time spent switching off and relaxing allows you to feel refreshed, to spend quality time with your kids and can actually increase productivity the next time you get back to work. Make sure your children understand why you work and keep them in the loop. Alex often practices her pitches at home to her children. This is a great way to get them involved and get an insight into what she does. They also occasionally come and visit the office which is great for them to see a working environment and can see Alex as a strong working mum and a role model. Team up with other mums. Alex is a member of The Inspiration Space, which is a community of female entrepreneurs and working mums. It is a fantastic space for them to share inspiration and discuss all things business. Teaming up with mums outside of work is also vital to avoid the stresses of everyday duties. 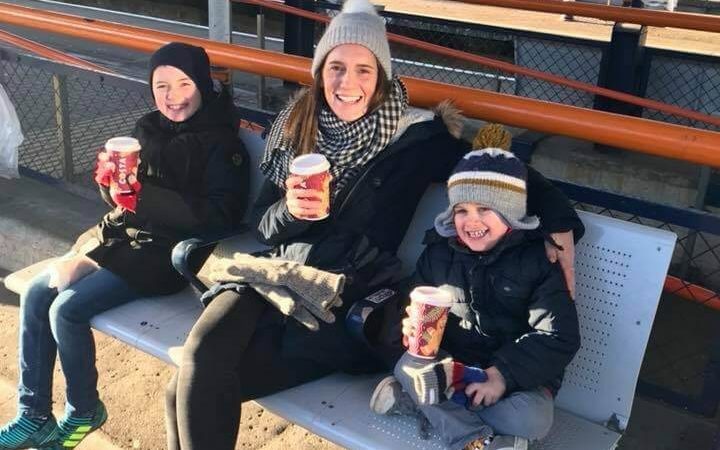 Despite the stresses that come with juggling motherhood and owning a company, Alex proves that having children hasn’t prevented her from building a successful business. As more women and mothers enter the world of entrepreneurship, we can continue to bridge the gender gap, and that should most definitely be celebrated. If you’d like to discuss our services, please don’t hesitate to contact us at team@airsocial.co.uk, or give us a call on 01483 789434.